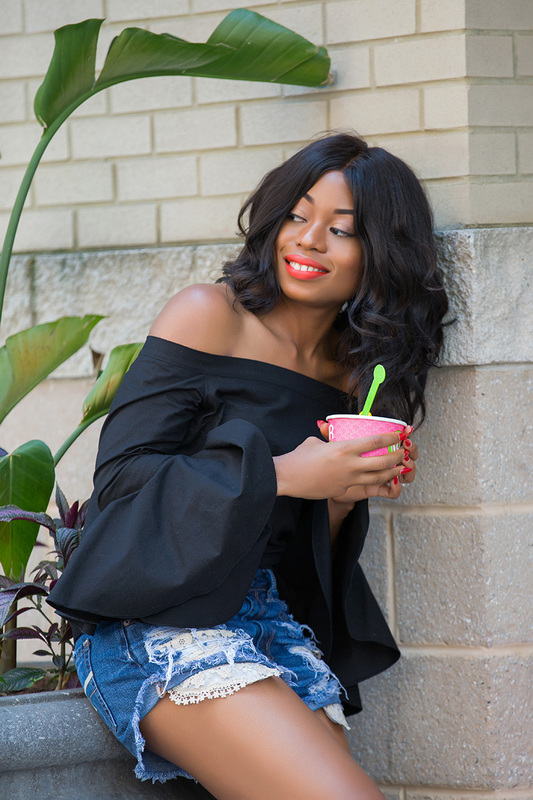 On hot and humid summer days, I love to wear denim shorts or one teaspoon Bandit shorts paired Converse, Keds or adidas shoes and on such days, frozen yogurt always comes to mind. I have a weakness for frozen yogurt and now, Nolan and hubby have developed taste buds for frozen yogurt. I often go on frozen yogurt dates with Nolan which is always fun and exciting (not just for him). Legs for days! I love froyo too!My best topping is raisins. You are one of my favourite. i love your fashion ideas.